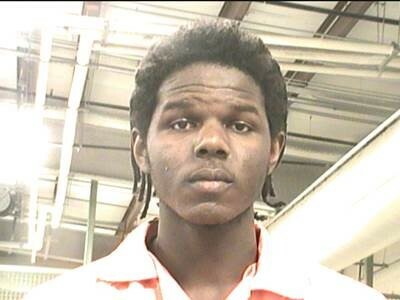 NEW ORLEANS, LA—The NOPD has arrested 19-year-old John Hicks and booked him with two counts of Second Degree Murder and one count of Using a Firearm During a Crime of Violence on a Parade Route in connection with a double murder on Thursday in the 1200 block of St. Charles Avenue. Around 10:00 p.m., shots were fired in the 1200 block of St. Charles Avenue. Officers assigned to the parade route responded immediately and observed 21-year-old Peter Dabney suffering from a gunshot wound to the chest and a 22-year-old male suffering from a gunshot wound to the neck. Both victims were taken to the hospital where they later died. At the same time, officers observed a black male wearing a black and white hooded sweatshirt running from the scene and ran after him. After a brief foot chase, officers apprehended the suspect who was later identified as 19-year-old John Hicks. During the chase, officers observed Hicks throw a black handgun into the bushes near the 1700 block of Martin Luther King Boulevard. Officers recovered the weapon and results of ballistics testing are pending. However, officers performed a gun residue test on scene and Hicks tested positive. During the course of the investigation, detectives learned Hicks and his friends were involved in a verbal altercation with another group of individuals along the parade route which turned physical and then deadly. 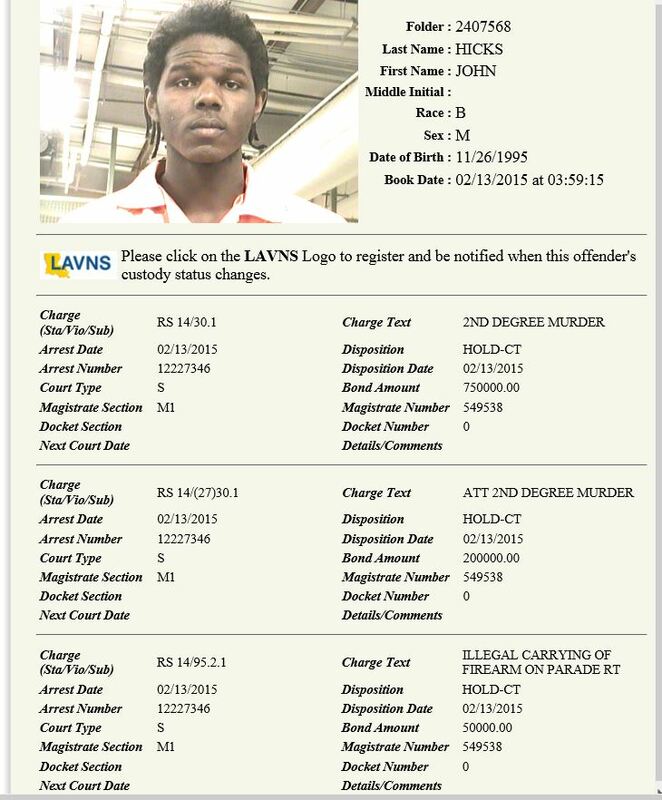 Hicks was taken to the NOPD Homicide Division for questioning where he later confessed to the shooting. Hicks’ prior arrests include Disturbing the Peace and a curfew violation. Over 20 NOPD officers were assigned to the immediate area Thursday night. NOPD Superintendent Michael Harrison was on the scene and commended the responding officers for the quick apprehension and crowd control. Homicide Detective Tanisha Sykes is in charge of the investigation and can be contacted at 658-5300. The Coroner will release the identity of the second deceased victim after notification of family members and will perform an autopsy to determine the exact cause of death.